In this policy, "we", "us" and "our" refer to Philatelink. • the lawful bases of the processing. We may process data about your use of our website and services ("usage data"). The usage data may include your IP address, geographical location, browser type and version, operating system, referral source, length of visit, page views and website navigation paths, as well as information about the timing, frequency and pattern of your service use. The source of the usage data is Google Analytics tracking system. This usage data may be processed for the purposes of analysing the use of the website and services. The legal basis for this processing is our legitimate interests, namely monitoring and improving our website and services. We may process information contained in any enquiry you submit to us regarding goods and/or services] ("enquiry data"). The enquiry data may be processed for the purposes of offering, marketing and selling relevant goods and/or services to you. The legal basis for this processing is contract. We may process information relating to our customer relationships, including customer contact information ("customer relationship data"). The customer relationship data may include your name, your contact details, and information contained in communications between us and you. The source of the customer relationship data is you. The customer relationship data may be processed for the purposes of managing our relationships with customers, communicating with customers, keeping records of those communications and promoting our products and services to customers. The legal basis for this processing is contract, namely the proper management of our customer relationships. We may process information relating to transactions, including purchases of goods and services, that you enter into with us and/or through our website. ("transaction data"). The transaction data may include your contact details, your card details and the transaction details. The transaction data may be processed for the purpose of supplying the purchased goods and services and keeping proper records of those transactions. The legal basis for this processing is the performance of a contract between you and us and/or taking steps, at your request, to enter into such a contract. We may process information that you provide to us for the purpose of subscribing to our email notifications and/or newsletters ("notification data"). The notification data may be processed for the purposes of sending you the relevant notifications and/or newsletters. The legal basis for this processing is legitimate interests. You may unsubscribe from our lists at any time by clicking the 'Unsubscribe' link in the email. We may disclose your personal data to our professional advisers insofar as reasonably necessary for the purposes of obtaining professional advice, exercise or defence of legal claims, whether in court proceedings or in an administrative or out-of-court procedure. 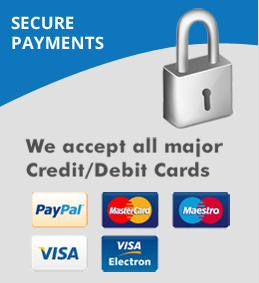 Although the majority of our financial transactions are Paypal or Klarna we may also take card payments over the phone or by bank transfer through BACS into our bank account. We only process and retain the data required to complete the financial transaction and we take all necessary steps to ensure that your data is secure at all stages of the transaction. You may exercise any of your rights in relation to your personal data by emailing/writing to us at: sales@philatelink.co.uk or thebestdeals@aol.com or philatelink@btinternet.com. Post: Philatelink, 13 Redpath Crescent, GALASHIELS, Selkirkshire, TD1 2QG.